During two days, about 135 representatives of 48 regulatory authorities from 45 countries and territories as well as invited experts took the pulse of audiovisual media regulation. The regulation of new media with a particular focus on video-on-demand services, the future of audiovisual commercial communications and the cooperation between broadcasting regulators in Europe were recurring motives in the discussion. Aviva Silver, Head of Unit of the Media Programme of the European Commission, made the keynote speech highlighting the strategic importance of the production and distribution of European audiovisual works for on-demand audiovisual media services; prominence and investment appear the most promising instruments to reach the objective of promotion. The first plenary session looked at the scope of the Audiovisual Media Services Directive, and opened with an speech by Thomas Schneider on how the Council of Europe has addressed the change of paradigm in media regulation, in particular through the Recommendation on a new Notion of Media. Then Marc Janssen (CSA, French speaking Community of Belgium), and Marcel Betzel, (Commissariaat voor de Media, NL) presented the recent guidance documents developed by their respective NRAs with the purpose of clarifying the new regulatory context for media service providers. Dr Julia Hörnle (ATVOD - UK) and Claude Wolf (Conseil national des programmes - LU) illustrated by means of examples the dilemmas faced by regulators when assessing concrete services in practice. During the second plenary session, Adam Smith (Group M), and Ross Biggam (ACT) shed light on market developments and the future evolution of audiovisual commercial communications in a connected environment, while Tony Close (Ofcom, UK) evoked the challenges and the future role for regulation in this changing landscape. Three parallel working groups also convened to discuss issues of Jurisdiction over broadcasters, Local and Community Media and Regulatory approaches to news and current affairs programmes. The recently established Icelandic Media Commission (Fjölmiðlanefnd) became the 53th member to join this platform dedicated to the exchange of information and best practices between broadcast regulators. 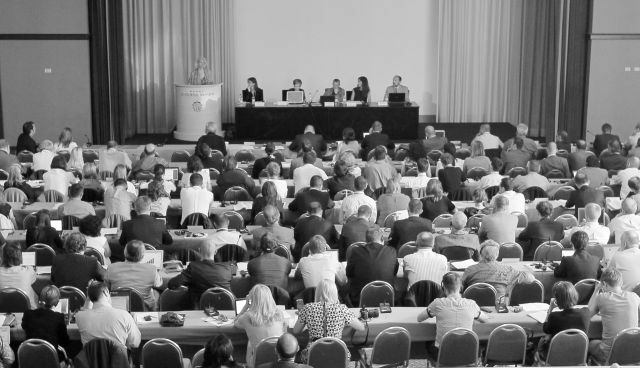 The next EPRA meeting will take place from 28 to 30 November 2012 in Jerusalem at the invitation of the Second Authority for Television and Radio.